John Deere customers expressed a need for fluid that would work in extremely cold weather. Using this feedback, John Deere’s engineers created two formulas to address the need. The main difference between Hydrau and Hydrau XR is the temperature range they’re engineered for. 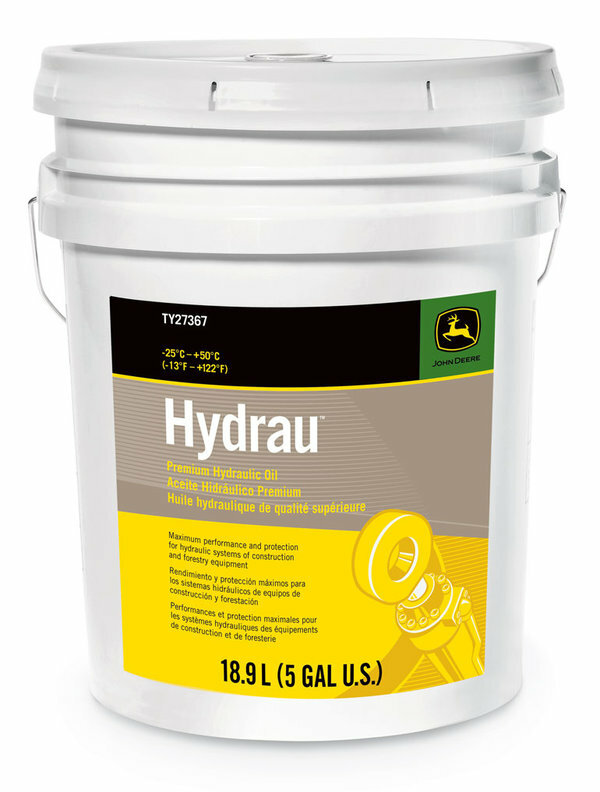 John Deere Hydrau is made for –25 deg. C to +50 deg. C (–13 deg. F to +122 deg. F). Hydrau XR is made for -40 deg. C (-40 deg. F) to +40 deg. C (104 deg. F ). Each formulas performance is tailored to the specifications of the atmosphere they’ll be operating in. Forestry and construction customers rely on John Deere Hydrau due to the performance benefits the formulas include such as the superior ISO viscosity grade, rust and corrosion prevention, and anti-foam and better air-release properties. Customers using the fluid in their John Deere construction and forestry equipment measure its performance by their equipment uptime and productivity. Work shouldn’t have to stop because machinery can’t keep up with the cold. John Deere Hydrau keeps up with the temperature so the operator doesn’t have to worry. If you have any questions on John Deere Hydrau or Hydrau XR, contact your local John Deere dealer.